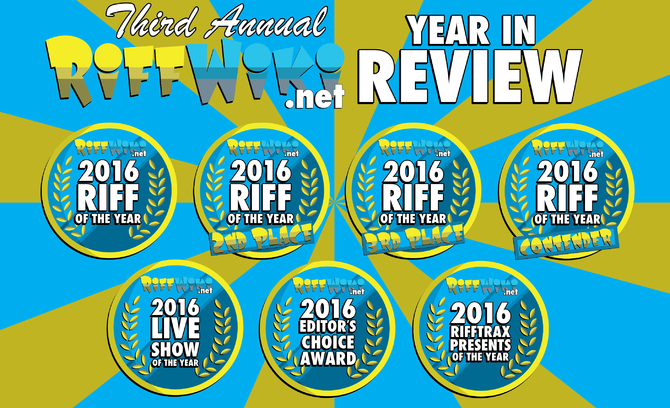 Well, another great year at RiffTrax has come and gone. Before we launch headlong into the future, let's take a look back at what can arguably be the best year in RiffTrax history, and hand out the awards for the Third Annual RiffWiki.net Riff of the Year, Live Show of the Year and RiffTrax Presents of the Year. Read the full article on RiffWiki.net! Get it on the Amazon Kindle! Replication Station: A Parody of "Replica"
Copyright (c) 2016 - J. David Chadwick. Simple theme. Powered by Blogger.